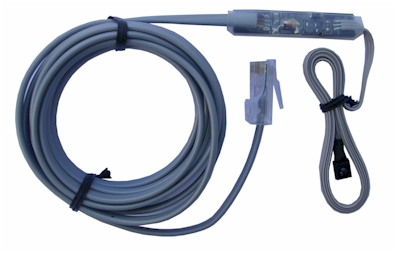 Equipped with 6 x RJ45 (network) sockets, the Blue Eye Distribution Hub is very flexible. 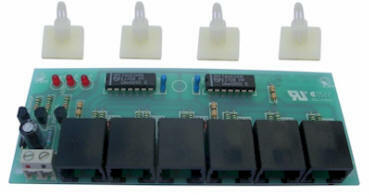 Any combination of IR signal receivers and flasher modules can be used. 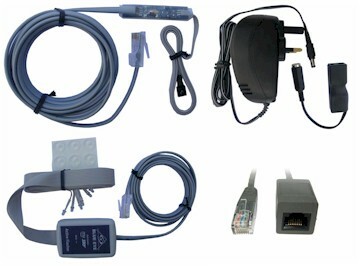 The blue Eye Stealth Receiver incorporates the tiny receiver head and RJ45 plug to connect directly into extension cable or wall mount socket. Add multiple Stealth Receivers to the Blue Eye Distribution Hub. 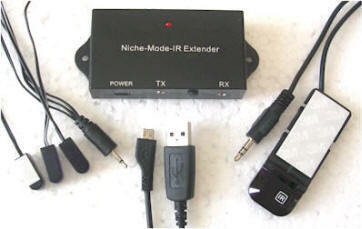 Easily add more receivers as you expand your IR extender system. 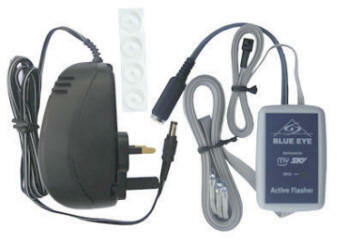 The Blue Eye Active Flasher Module can plug directly into the Distribution Hub or extension cable. Has an RJ45 plug and easy fit flasher heads. Use your infrared remote control for your audio visual & entertainment equipment when hidden away in furniture or from any room in your house. 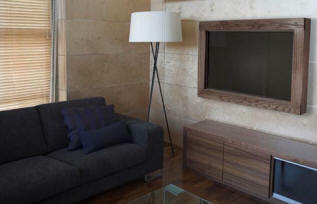 Contemporary interiors demand sleek, clean lines and surfaces which means hiding away DVD players & recorders, Sky & free to air decoders and Hi-Fi components in pieces of furniture as opposed to open, untidy shelves. Where infrared remote control signals need to reach entertainment equipment within an enclosed cabinet in the same room, the Niche Mode and Blue Eye IR Extender / Repeater Kits give you control whilst everything is hidden away. 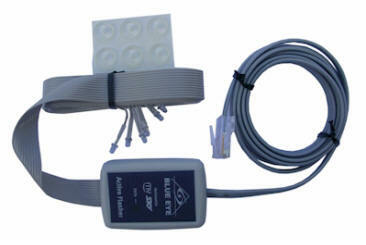 The all-in-one IR Extender Kits are simple to install and you're up and running in minutes.